The Arboretum's relocated and expanded garden will allow room for more food, flowers and new fruit trees. The cell tower will enhance service for the public and first responders. Two new things will be sprouting soon in the UCF Arboretum: a relocated community garden and a 190-foot cellphone tower to improve phone coverage on the southeast side of campus. The .15 acre garden, which is in the footprint of the planned tower, will grow to .2 acre, about the size of three tennis courts. It will be moved this month to be close to the Arboretum’s greenhouse, which is east of the Counseling and Psychological Services parking lot. 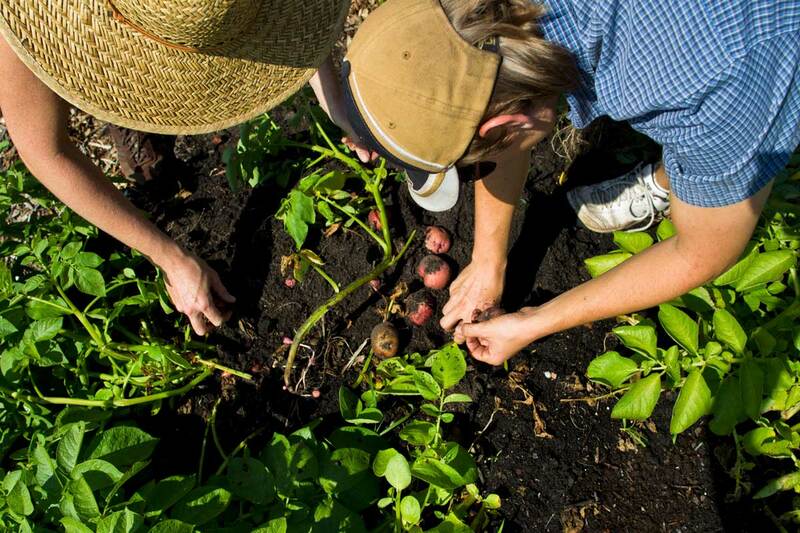 The garden is part of the Arboretum’s urban farming and garden program, focusing on organic produce, herbalism, medicinal botany, and classes on cooking and healthy diets. The garden is open to everyone in the UCF and Orlando community to learn about growing and preparing food. The food is shared by the garden’s regular volunteers and given to the Knights Pantry, which helps UCF students in need. The gardeners harvest a variety of seasonal produce, greens, fruits, vegetables, herbs and spices. The gardeners also are expanding into cut-flower production, and a new site that Bohlen plans to develop for fruit trees. The whole area will be fenced to secure the garden and “keep out deer and critters,” he says. University and community volunteers are always welcome to sign up to be part of the garden. The new cellphone tower will overlap where the current community garden now sits south of District Energy Plant 4. The tower will be 70 feet taller than the UCF water tower, which is 120 feet tall. “Many segments of the campus need increased cellular coverage, as well as greater cellular capacity. This tower will greatly enhance cellular reception for this area of campus, assuming all major carriers mount equipment on the tower,” says Joel Hartman, UCF’s vice president for Information Technologies and Resources. In addition, public safety antennas will be moved from the WUCF transmission tower to this location to improve and extend reception for first responders. UCF IT Telecommunications will design, own and maintain the tower, which is estimated to cost about $1.2 million, Hartman says. The bidding process hasn’t been completed so the contractor hasn’t been determined. Cellular carriers will be charged rent for placing their antennas on the tower. The goal is to complete the tower late this fall. “This will be a major step forward for increasing cellular and first-responder radio coverage on campus,” Hartman says.